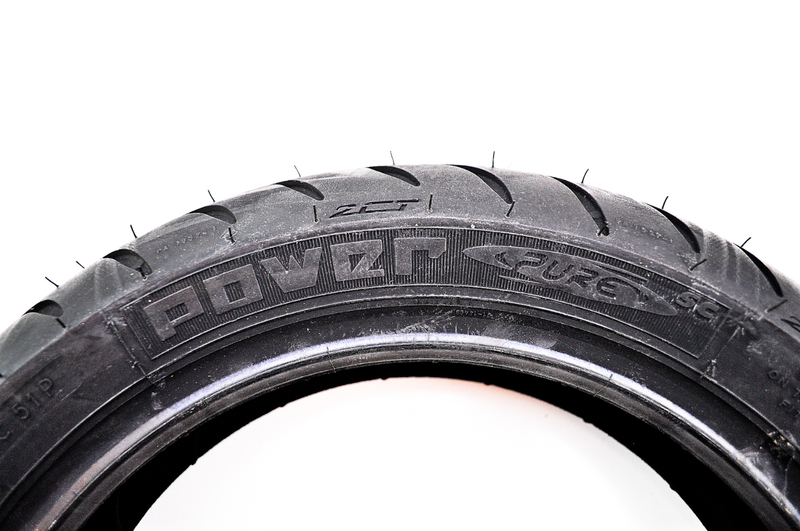 Tubeless dual-compound scooter tire for mid-size scooters. 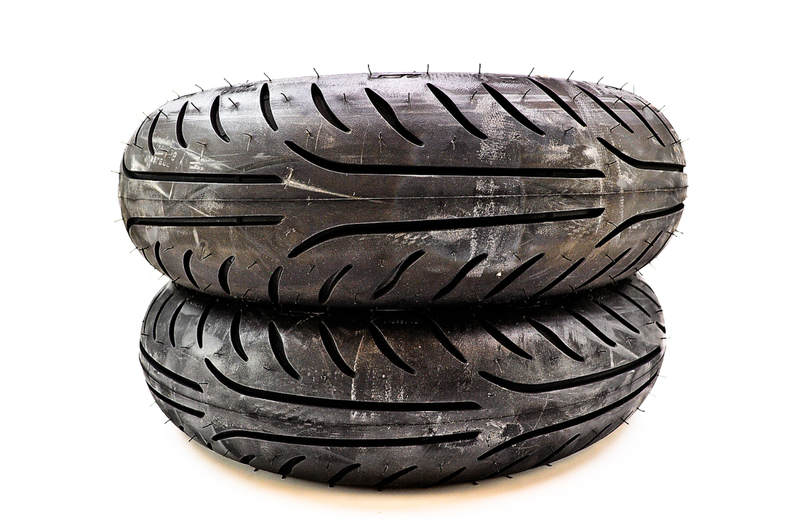 Tread design inspired by racing rain tires. Center tread compound for durability; smooth area in contact patch center resists wear. 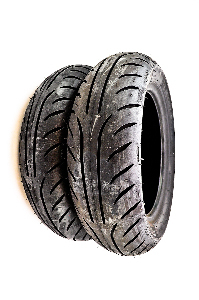 Shoulder tread compound made for wet or dry conditions.